Russian billionaire-turned-politician Mikhail Prokhorov has published an article in a business newspaper in which he sharply criticized the parliamentary opposition for alleged attempts to destroy the protest movement in the country. 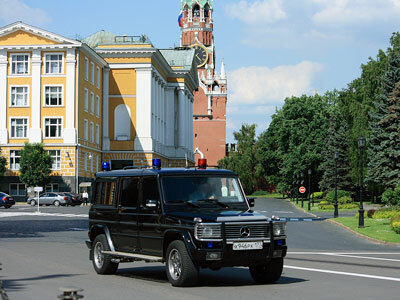 In an article published by the RBC-Daily newspaper, which Prokhorov happens to own, the businessman criticized the “three Duma sages” and immediately explained that by this he meant the leaders of parliamentary opposition – Gennadiy Zyuganov of the Communist Party of the Russian Federation, Sergey Mironov of the Fair Russia party, and head of the Liberal Democratic Party Vladimir Zhirinovsky. In the article Prokhorov openly called the parliamentary opposition “Kremlin agents with 20 years of work record” and accused the parliamentarians of getting paid for carrying out the tasks set by the authorities. “They were getting votes against the power and then they sold and resold our votes to those in power. 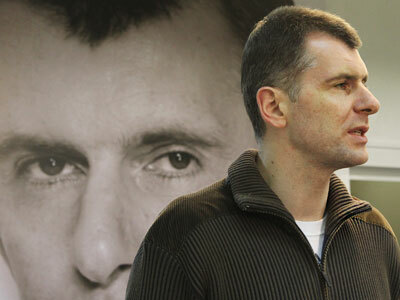 There has not been a single vote that they did not sell,” Prokhorov writes. As an example, he cites the recent vote in St. Petersburg city legislature. The local deputies elected a member of the United Russia party as their speaker despite the fact that United Russia only had 20 seats in the legislature, with the required minimum being 32 votes. “Where did they find 12 more votes? In the Fair Russia party that bent readily to please United Russia,” Prokhorov writes. Besides, the politician said that the parliamentary opposition had no right to announce their involvement in the protests that took place in Russia after the parliamentary elections. He writes that those who took place in protest rallies in Moscow in December “do not need any chieftains for sure…The movement does not belong to anyone and it must not belong to anyone!” Prokhorov asserts. 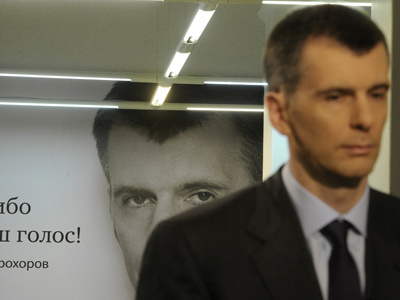 Successful businessman Prokhorov started his own political career only in the middle of 2011 by getting a leader’s place in a small business-oriented political party, Right Cause. However, older members of the party ousted the businessman and his allies from the organization right. This was done at a congress that was supposed to seal the changes in the agenda and mark the start of preparations for the parliamentary poll. 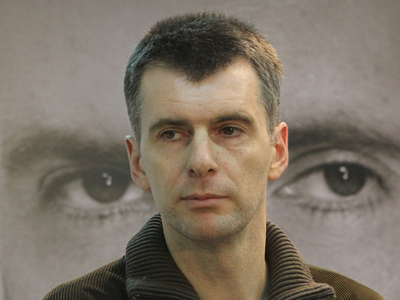 Prokhorov subsequently said he was launching his own political movement and intended to take part in the presidential elections due in early March. Last week Prokhorov submitted the signatures of 2 million supporters to the Central Elections Commission – the required minimum for an independent candidate. Despite Prokhorov’s relentless criticism of the Kremlin administration and of the United Russia Party, many politicians and analysts still see him as a project by the Kremlin aimed to draw pro-business votes. For example, one of the best-known Vladimir Putin critics, former oil tycoon Mikhail Khodorkovsky, wrote in a recent interview with the Helsingin Sanomat newspaper that Prokhorov looked very much like a “Kremlin project”.